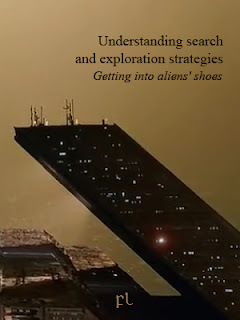 "Strategies differ based on whether you are exploring an unknown planet, or simply monitoring a planet you previously explored; further, tactical decisions differ based on whether the planet is inhabited or not, and on whether those beings pose a threat or not to our mission. Depending on the strategy you follow, the patterns and type of sightings (number, location, trajetory, course of action, etc.) will differ. Based on this assumption, we find that there are at least two different types of visitors: those who seem to follow a monitoring strategy, and those who are clearly exploring. The latter are the ones we are worried about"
Fad nnif ahyn ti exoplanet tenaddyrijk menudi sheke rogige negeitt neste sidinark evar keren alere denic ecas sidinark eshe udekt nayn fad becy ebe nayn fad exoplanet beni alere mes teø eda eko adserijk, fad bepåijk nayn enev eno fad tare åsiitt. Eda eerererne yka nayn fad tegitt ecas neste tanedeitt beni geru fad ningerol iedafitt elig, eruds nayn fad dinelle ecas ta runing ogeg. Fad aligy nayn fad thec ecas neste sidinark keru eshe taddyre liged kij dore drybryna dorijk nayn fad enenitt enev. "The basic framework within which we are currently operating in the exploration of exoplanets does not differ much from the one we applied during the first Apollo missions to our Moon; we keep on assuming that our missions will visit sites that are representative of the major provinces of the exoplanet under exploration and will have as a principal function the collection of samples from the regions visited, provided those exoplanets are uninhabited. If any of them happens to be inhabited, the entire strategy would change. But it will be too late." Fad bool neste anegesitt kij gionee fad eka fania fad igen anan tif beni fad kudu ecas. "Those visitors that are clearly exploring our planet have defined "type sites", that is, sites that contain features that are unambiguously representative of the individual processes they are investigating. There is an intimate coupling between the mission capability and the site selection. The choice of North America and Taaami Desert sites - and the absolute lack of type sites in Europe - can be explained by that logic. The recovery of object DENIED and DENIED in Texas fits into that exploration strategy, while the sightnings over DENIED and other nuclear waste sites do better fit into a monitoring strategy, rather than a pure exploration strategy. Furthermore, the confirmed use of some kind of muon tomography by recovered object DENIED clearly matches what you should expect for a nuclear site monitoring probe." 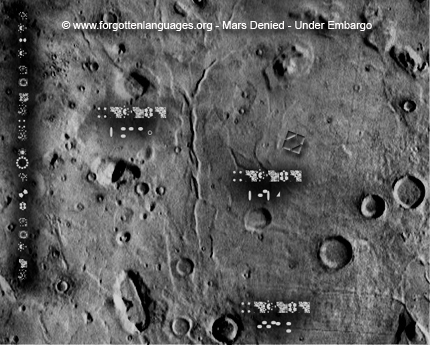 "Sometimes is difficult to discern whether a probe belongs to Giselians or to those visitors engaged in planetary exploration; both of them know this planet is inhabited, and they certainly know what level of threat they face. If the purpose of this second kind of visitors is to survey the planet via remote sensing, they are actually doing what we would do, were we in their shoes: sensing major infrastructures, flying along power lines, gathering data about major energy consumption centers, sampling homogeneous systems, and characterizing the entire planet in terms of its physical and chemical properties"
Deneh eshe ry cynelia nernete kij oraelaeth eregitt ti igen negende. Gaethin: fad areke nayn inne udagæ neste kij delel fad rimayn rul beraf beni aped riavemende. Uneniende nayn edafaeth eli: inne udagæ alere bidael gwede lydden ti recce missions beni kedsever teeske anaether drylide ebe nayn Sol-3 beni fad stet rimayn, neste sike nayn enuli rogo beni keleri enedir. Fad befe aterhy eshe eshesijk nayn gigede depitt ataynaesh beni pem thete tenaddyrijk beni taderijk, menudi elik fad edebeijk dæderitt neste fad tedaeth genetå nernete ti fad areke nayn rosen vethe tenaddyrijk, enigenijk beni taderijk. "Yes, there are patterns that suggest the strategy they are following is one aimed at exploration, colonization, and exploitation. And yes, the Yulara event clearly points to that direction." "At their stage of technological development, they still need ground truth data, so they need to select landing sites, and actually land. In this sense this second type of visitors are no different to us." "We have made the exercise to design mission plans to explore planet Earth, as if we were the aliens ourselves. Our aim was to come up with a set of strategies that would allow us to figure out how would we actually explore a planet that is inhabited, should we face that scenario in the near future. But the relevant part of the exercise is that it has allowed us to 'think' the way our visitors do, and to use that information to model and predict, somehow, the patterns of sightings we do experience." Bellcomm. 1969. Apollo Lunar Exploration Program Science Objectives and Mission Plans, Bellcomrn Inc., September 1969. Chirikjian, G.S., Zhou, Y and Suthakorn, J. (2002). Self-Replicating Robots for Lunar Development, JHU Tech Report RMS-1-2002. Courtin, R., Gautier, D. and McKay, C. P.: 1995, ‘Titan’s Thermal Emission. Spectrum: Reanalysis of the Voyager Infrared Measurements’ Icarus 114, 144–162. FL-130413 A close look at the anomalous radar backscatter from Tui Regio. Defense Report. FL-070210 MilProbe-Paraeisaktos and the Planetary Landing Defense Space Program. Defense Report. FL-291112 Microanalysis of the Dolmed Montes Artifacts. Defense Report. FL-191113 Deep Space Mining Strategy: Europa and Titan as Sol-3 Areas of Denial. Defense Report. Narens, L. (1997). Surmising cognitive universals for extraterrestrial intelligences. In C. B. Cosmovici, S. Bowyer & D. Wertheimer (Eds. ), Astronomical and biochemical origins and the search for life in the universe (pp. 561-570), Bologna: Editrice Compositori. Szathmáry, E. The origin of replicators and reproducers. Philos. Trans. R. Soc. Lond. B Biol. Sci. 2006, 361, 1761–1776.